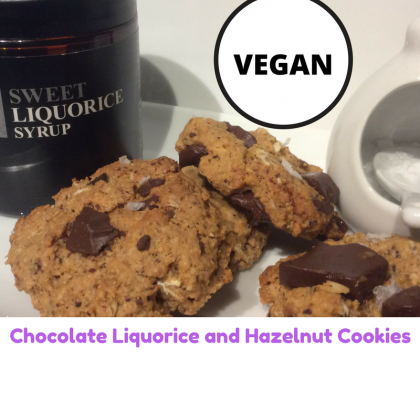 Easy to make sweet treat combining oats, butter and syrup. 1. 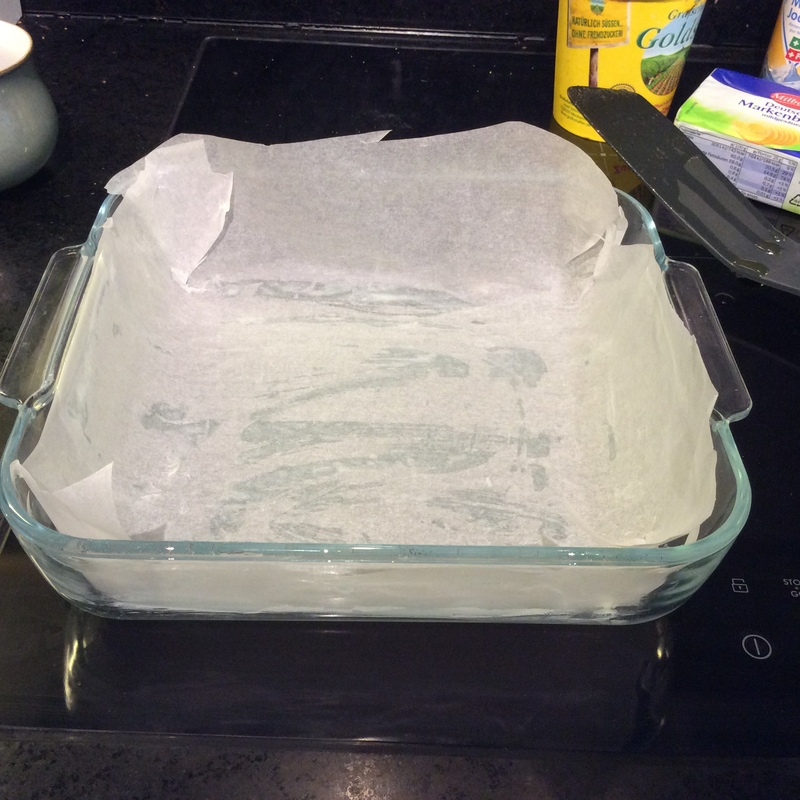 Line a roughly 15cm square tin/ casserole dish with baking paper. 2. Melt all of the ingredients apart from the oats in a saucepan over a medium heat. Stirring frequently to prevent the mixture from burning. 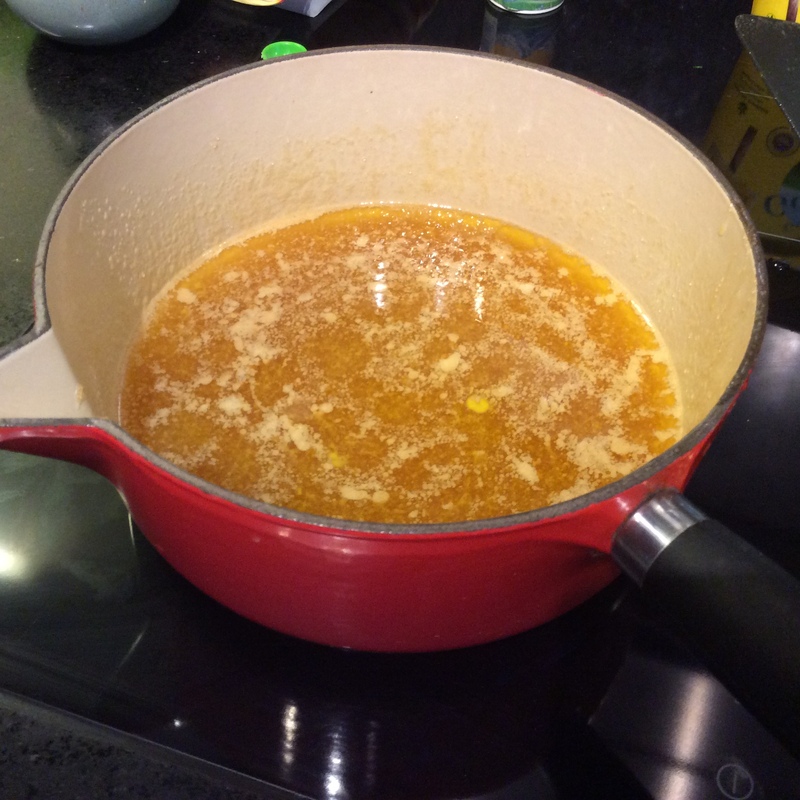 Once the sugar has dissolved and the ingredients have combined remove the pan from the heat. 3. Put the oven on to Fan 150 degrees Centigrade. 3. Stir in the oats ensuring that they are fully covered in the mixture. 4. Put in the tin and pat down firmly trying to get the mixture as evenly spread as possible. 5. 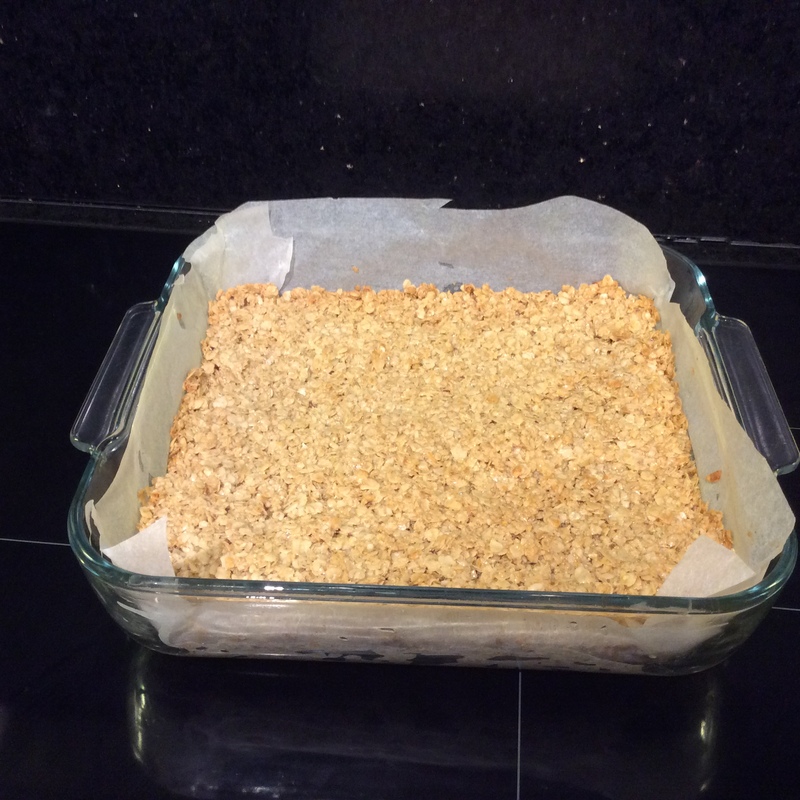 Once the oven is up to temperature cook for 30 to 35 minutes for a soft flapjack add 5 minutes longer for a crunchier one. 6. Leave tin to cool on a wire rack for 5 minutes. 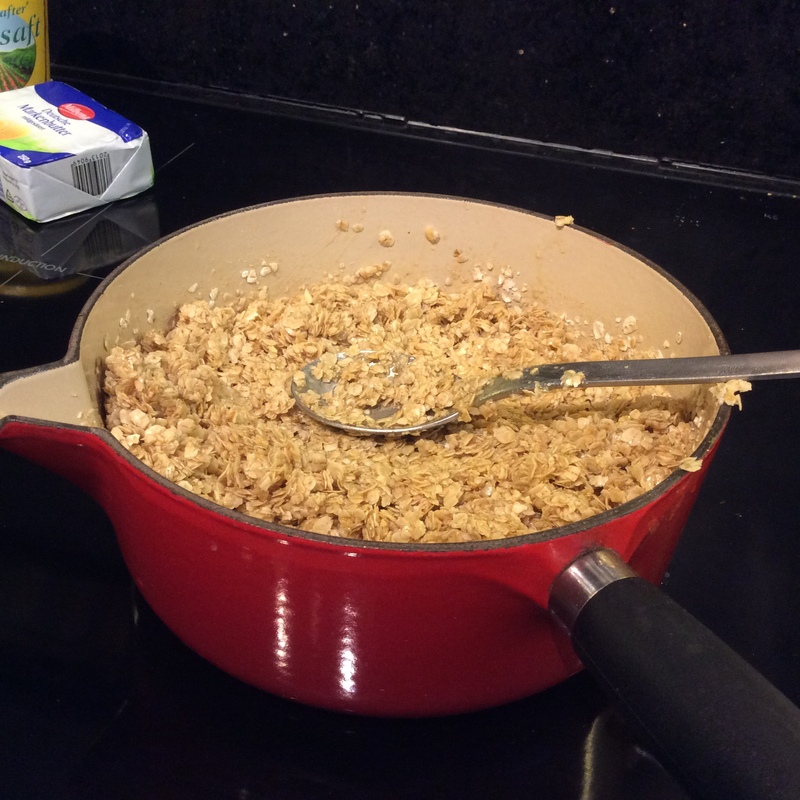 Cut the flapjacks into equal portions. I made 16 squares its up to you just how big you want to make them. Leave them to cool fully in the tin before removing them. Don't be tempted to take them out too early as they are likely to fall apart, they will still taste good but will be harder to eat. 7. Store cooled flapjacks in an airtight tin. They will last for about a week. That never happens in our house! This is a Classic British Flapjacks recipe. 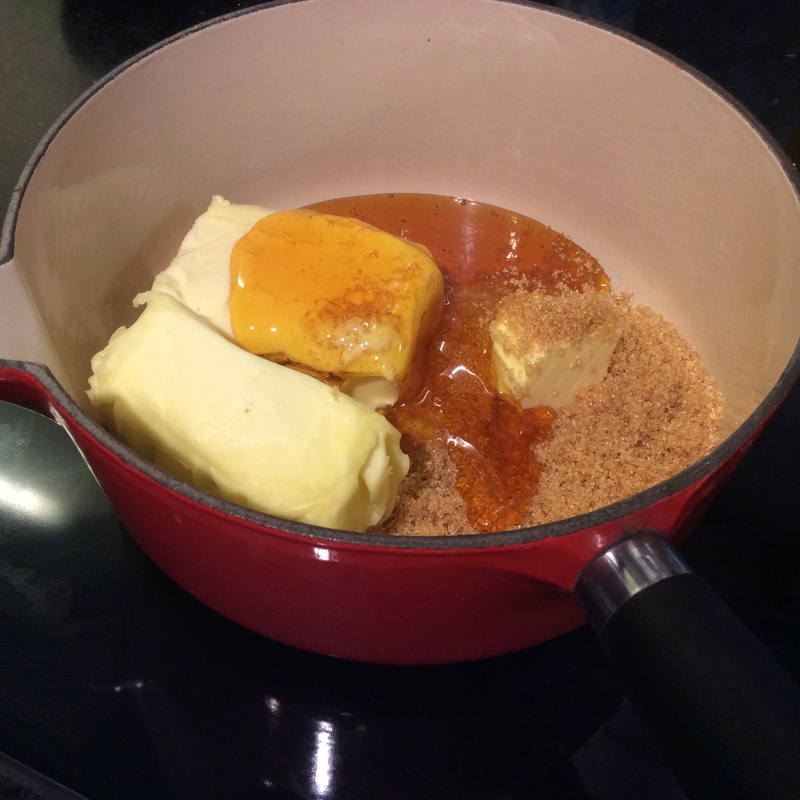 It is a British favourite sweet treat combining oats, butter and golden syrup. 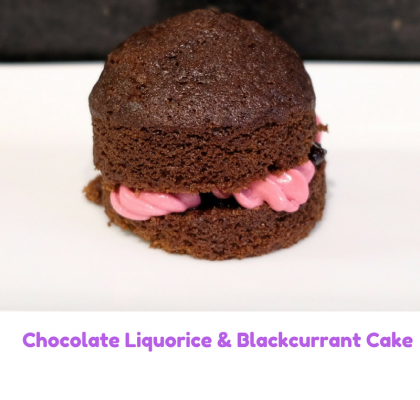 Its close to a muesli or granola bar but far naughtier and nicer. 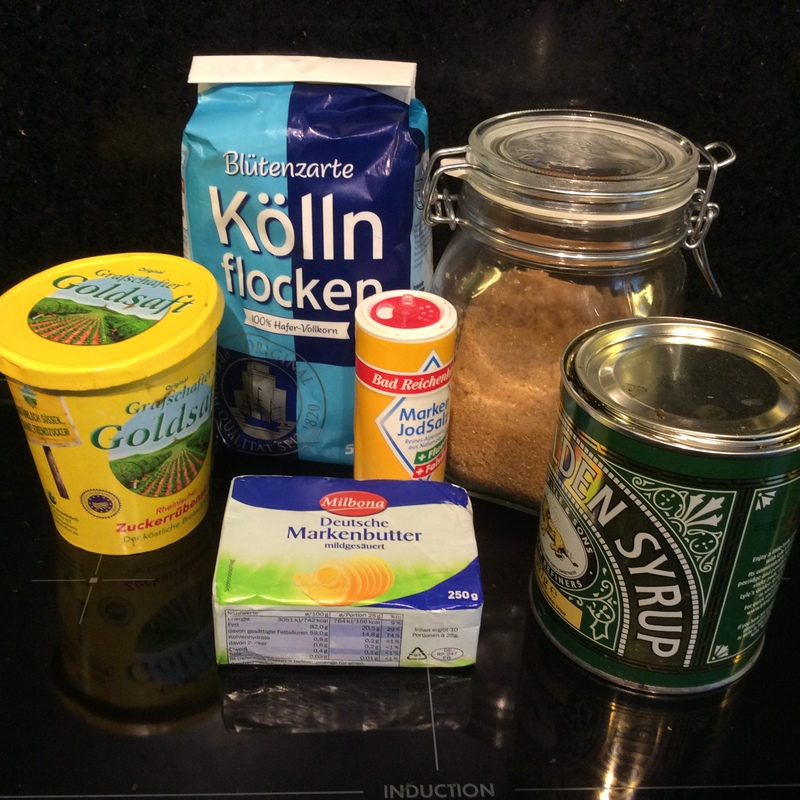 In Germany you can use Zuckerrueben sirop instead, for the Brits the original syrup has a better taste. This is my son Tom’s signature dish. You can tell we watch a lot of cooking programmes. He made it for his friends at school last year and it was a huge success. I have taken these into work for my German colleagues and they have never tried them before. 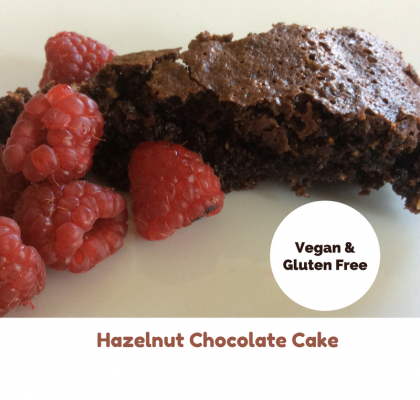 They were very popular and have been one of my most requested recipes. We like our flap jacks a bit chewy if you like them more crunchy cook them for a bit longer. You can also add other ingredients to the basic recipe such as chocolate chips or dried fruit, just use less oats. For us the classic version has a delicious simplicity. One of the best bits is eating the stray bits from the saucepan. Its a very simple recipe to do, so give it a try. If you find some good combinations of flavours post them in the comments field below. A Flapjack is another example of how the English and American terms for things differ. In America a flapjack is a type of pancake and is closer to the historical origins of the word. 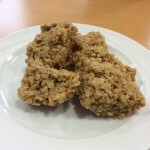 The term Flapjack inEnglish goes back to the 1600 and was even mentioned in one Shakespeare’s plays, but it was the name used for some over type of dish. 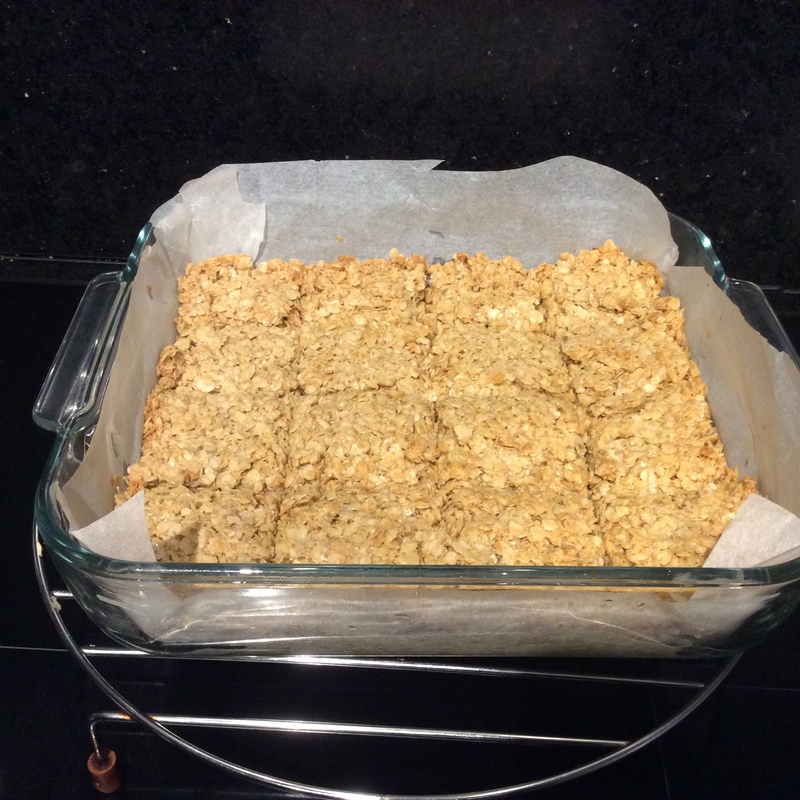 The Flapjack as we know it came about after the First World War when rationing stopped. Flap is a old dialect phrase for toss, as in toss a pancake. The Jack may relate to ordinary, or simple as it was used to describe an ordinary man. This is a simple dish but it definitely delivers on flavour.